Homepage > The Síndic > Organization > Who the Síndic is? Since July 2004, the Catalan Ombudsman has been Rafael Ribó. Born in Barcelona on 10thMay 1945, Ribó was elected Ombudsman of Catalonia in 2010 according to the new regulatory law of the Ombudsman. This is his second term in charge of the institution. The first term was from 2004 until 2009, according to the previous law. With degrees in Economics and Law from the University of Barcelona, he holds a PhD in Political, Economic and Business Science from the same University and is Master of Arts in Political Science from The New School for Social Research of New York. He is a retired university lecturer of Political and Administration Science and since 1970 has taught at the University of Barcelona, the Autonomous University of Barcelona, Pompeu Fabra University, the American College and the New School for Social Research. He is the author of the first doctoral thesis written in Catalan since the Civil War, which was entitled“The concept of political culture according to Almond: research about the political specificity of peoples” (1974). Member of the Catalan Assembly, he was one of the drivers behind the campaign to restore the Catalan language’s official status and served as secretary of the liaison committee. Elected Secretary General of the PSUC (Unified Socialist Party of Catalonia) in 1986, he has served as MP in the Catalan Parliament until the end of the sixth legislature (1980-2001), MP in the Spanish Parliament (1993-1995) and president of the Iniciativa per Catalunya political party (1987-2000). 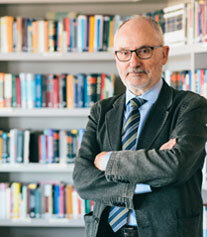 Ribó has held posts in the International Ombudsman Institute, of which is part since 2006. He is currently the European President of the IOI and one of the directors of the World Board. He has been one of the founding members of the International Association for Language Commissioners (IALC), founded in Barcelona in 2014. He also launched, along with other ombudsmen, the National Energy Ombudsman Network, Neon, founded in Brussels in 2015. He has published several books, chapters and studies such as Catalonia’s Political System, The National Question and the Catalan Nations, Handbook of Political Science, Citizenship and Nationalism and Special Regions and European Union Treaty Reform. He has been chairman of the board of trustees of the Ulls del Món (Eyes of the World) Foundation since 2001.